A Knock is heard at the Front door of the Tower. I walk into the Castle after it opens by its self. "Hehehe...It opened by its self...Might as well go through the Tower." I walk towards the Staircase and starts walking up them. I jump back after the Nobodies appear in the way. "Tsk...Nobodies? 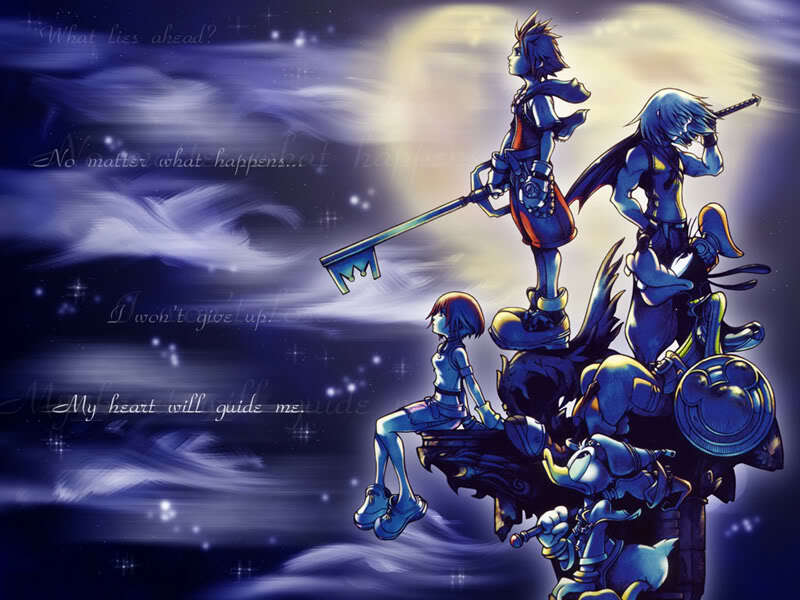 My first time fighting them alone but this time I can use the Keyblade!" I get in my Fighting stance and the Keyblade Appears. "Lets go!" I rush towards the Nobodies, I slash one of the nobodies with a Upper Cut motion then I swing the Keyblade Left, Trying to hit more of them. As the Dusks start to strike I hold my Keyblade out and start to spin around, Destroying any Nobody that comes near me. I stop Spinning but directly after I stop, I dash towards the Stairs, Slashing the Nobodies in the path, and I start running up the stairs. I run back down the stairs. "Well...Its not as much as the Boss gave me but meh.." I swipe up the munny and begin to run back up the Stairs until I get to the top. "What the hell...Even more?" I get in my Fighting stance and rushing at the Heartless, Hacking at as much of them as I can. The Shadow scratchs my chest and I step back alittle. "Damn it..." I charge at the Heartless's and Starts slashing at the Heartless's Neck. I pick up the Orbs and run towards the top of the Tower and sees a door. "Might as well..." I walk up to the door and knock on it. I continue to knock on the Door but then stops after a few more minutes. "Is anyone even here..."
I walk inside of the room and looks towards Yen Sid. "Hmmm...Who are you?" -I frown at you- you come into my house and dont even know my name...very rude that is Konaru...Yes I do atleast know your name. Now please come in and tell me why you have come here?